Let me begin my apologizing to the Executives and members of National Youth Council Of Nigeria (NYCN). Honestly, I did not treat them well and I apologize. Few weeks ago, they wrote me that they would honor me with the 2018 NYCN OUTSTANDING LEADERSHIP AWARD. I tried to lobby myself out of such an award from the umbrella of all the major youth associations in the nation. 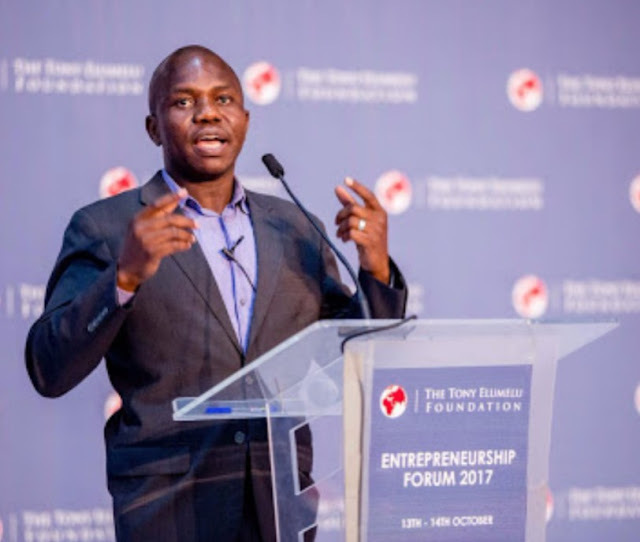 Simply, I do not know what I have done for them, the young people of Nigeria, for an award. Yet in Nicon Luxury Hotel Abuja, without me or any representative, they went ahead and bestowed the award to me. They followed with a press conference praising me, adding ’Fellow Of Nigerian Youth Honour’. The day was saved as when they were calling me (and no show), someone who knew me went out and received the award. Good young people – I apologize, and I will like to meet the executives when I make it to Nigeria next month. Meanwhile, the Federal Ministry of Youth and Sports Development through a rep has reached out for my profile for archival as part of the award. 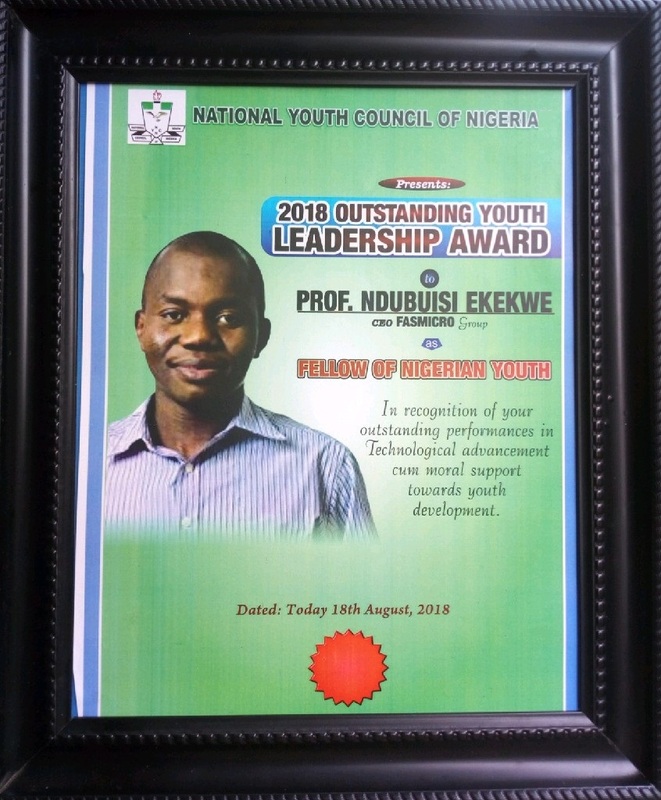 The National Youth Council Of Nigeria has honoured Prof. Ndubuisi EKEKWE (Chief Executive Officer, FASMICRO GROUP) with the 2018 NYCN OUTSTANDING LEADERSHIP AWARD. The organization described Prof. ekekwe as an humble man who does his business without any iota of corrupt practices, and also stand as encouragement to Nigerian youths. Speaking to newsmen at the 2018 International Youth Day Celebration held at the Nicon Luxury Hotel, Abuja on Saturday 18th August 2018, the National Programme Officer of the Council Mr. JIMOH-GIWA AYYUB described the Awardee as a man of repute that should be reckoned with. 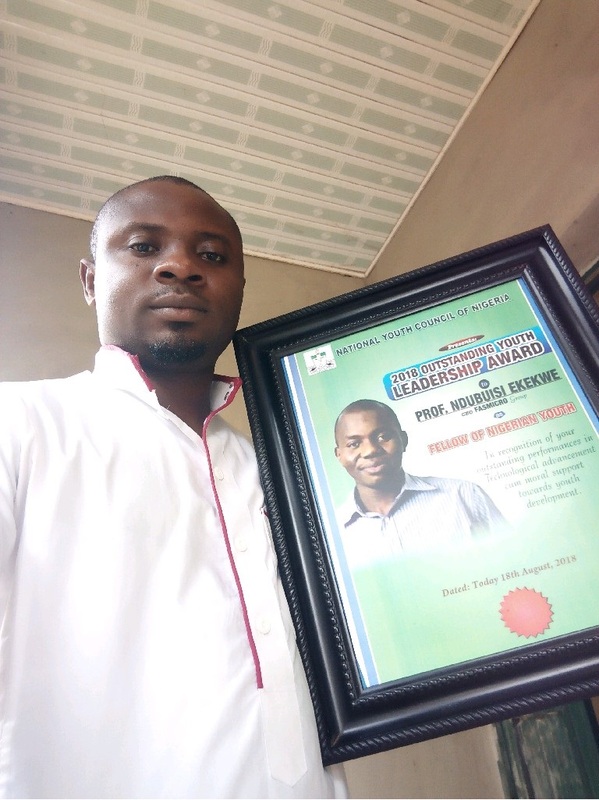 The Prestigious NYCN Award for this year has been given to Prof. Ekekwe based on his outstanding performance in the Energy sector, Technology and Innovation, not only that Prof. Ekekwe is an hardworking Man, but his love and moral support for the youths is also worthy of note. 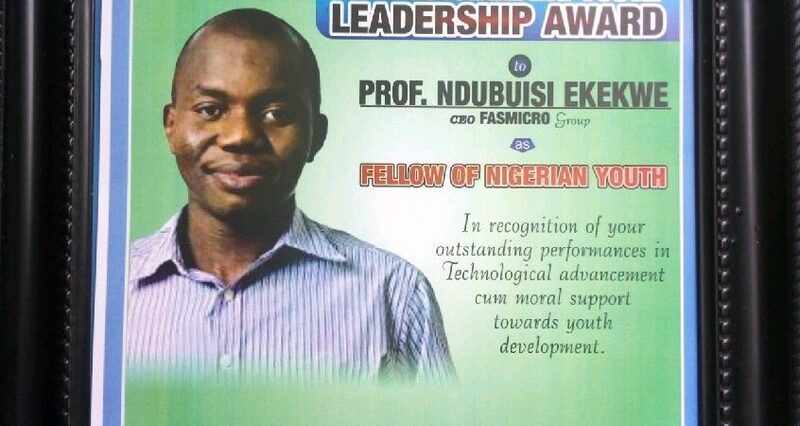 The leadership of the Council also bestowed on him the ‘Fellow Of Nigerian Youth Honour’, this is to encourage him to continue to assist Nigerian youths in all ramifications and to also show that no matter how silenced people doing tremendous things to the youths are, the Council is seriously watching and will always use this means to encourage them and Prof. Ekekwe is not in exemption. 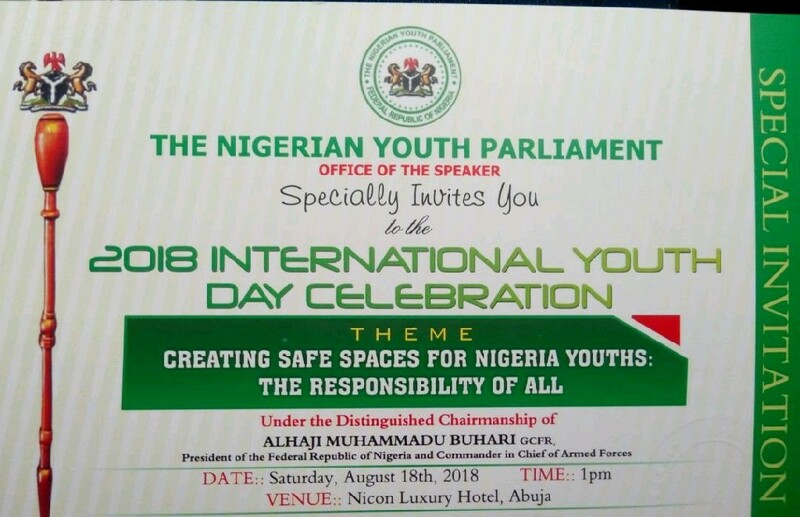 We also acknowledge the effort of the Nigerian Youth Parliament for collaborating with the Youth Council to make this year’s celebration a memorable event. The Council also made it known that her search light will also be touched at persons who take the development and assistance to Nigerian youths for granted, such people would be disgraced publicly and it will serve as deterrent to others who take the youth development for granted. While congratulating Prof. Ekekwe, we also implore him to continue to contribute his quota to youth development as much as he can, he said.